Lead bricks are cast out of 99.9% pure virgin, high quality lead. They are commonly used for shielding in applications where lead sheet shielding is impractical or not available in sizes or thicknesses required. Can be adapted for many different applications, in walls, bunkers, coves, glove-boxes, hot cells, partitions, nuclear shielding, transporting radioactive materials or as a ballast weight. Available in a wide range of sizes, thicknesses and shapes and interlocking designs to suit your application. Maximum protection against x-ray beta and gamma radiation with interlocking configurations that prevent radiation leakage through gaps. The interlocking configurations also provide a stable and a sturdier wall system to prevent it from falling. They can be cut on site in any direction without losing the interlocking capability. A double row can also be stacked behind the first in a staggered pattern to prevent the loss of radiation effectively. Machine finished lead bricks are also available. Lead bricks reduce exposure to harmful high energy radiation. They create a safe and healthful environment. They are flexible—Lead bricks can be easily erected, modified, disassembled and relocated in the field to create protective wall systems and cells to suit your application. They are custom designed and manufactured in different sizes and weights according to customer specifications. 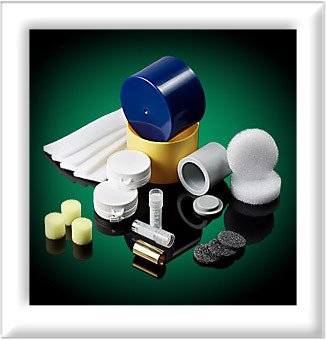 Medi-RayTM, Inc. is the hallmark for radiation safety, shielding solutions and counter weight designs. We supply all standard lead brick sizes as well as interlocking configurations. Custom designs and sizes are supplied in the shortest turn-around time in our industry. Call to speak to one of our consultants at 877-898-3003/914-979-2740.